Missouri v. McNeely: End of Blood Testing? 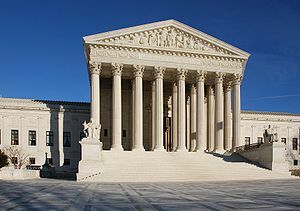 The Supreme Court recently decided McNeely v. Missouri in favor of the defense. At first glance, it looks like a significant victory for those of us who practice drunk driving defense. However, upon a deeper review, it simply opens the door for prosecutors and courts to manipulate the system to effectuate what McNeely requires. I foresee that the government will now either expedite the warrant process in such a way that it will be a revolving door in terms of OWI arrest warrants, or, the .government will make it so difficult to obtain a warrant that court’s will find the exigency existed because of the time it would have actually taken to obtain the warrant. It might also mean the end to blood testing. Officers could simply refuse to request blood tests. It is quite possible that police departments, at least in Wisconsin, will make breath testing their primary test. Thus, while McNeely is a blow to the government, the question remains how big of a blow is it? It will be interesting to see if states like Wisconsin ignore it, or find creative ways to avoid it.